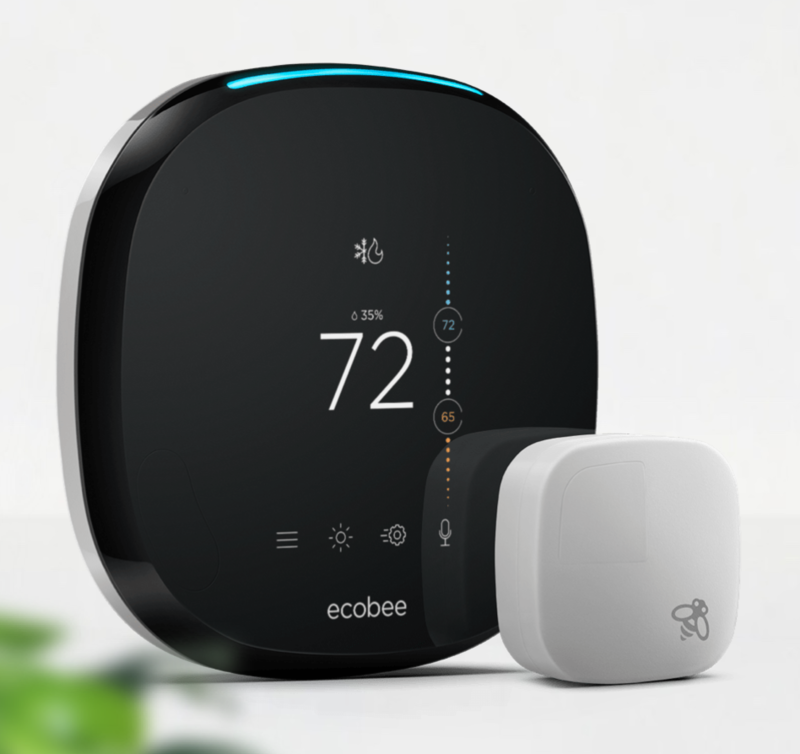 When ecobee announced the ecobee4, a completely new update to its flagship thermostat, we were intrigued. We already think the ecobee3 is awesome, so what’s the deal with the 4? Let’s compare the ecobee3 (still widely available) and its Alexa-integrated successor, the ecobee4! Nearly everything else is the same or equivalent. You can re-use sensors from the ecobee3 (if you have one), but you can’t migrate your settings (boo). The companion app is the same and the ecobee4 is compatible with a wide variety of North American 24V HVAC systems. Alexa, what time is it? Alexa, raise the temperature 2 degrees. 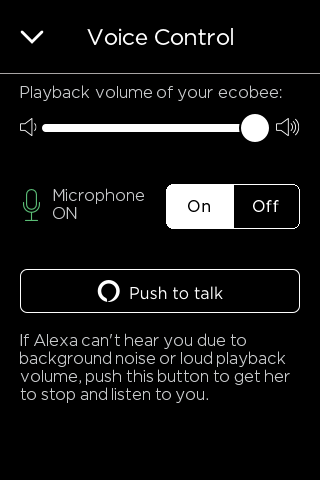 Alexa – microphone, speaker, and all – is built into the ecobee4. It’s like an Echo Dot and an Ecobee had a baby together and made this talking, listening thermostat. The big draw here, of course, is that you can walk right up to the thermostat and speak to it. You can say thermostat-related things like, “Alexa, turn the temperature up”, but you can also say things like, “Alexa, turn the lights on” if you have other Alexa-integrated systems in your home, like a collection of Hue bulbs. If your household is already immersed in the Alexa ecosystem, installing an ecobee4 is (almost) like getting another Echo! It doesn’t do *everything* an Echo does: you can’t change the wake word (it must be “Alexa”), some third-party apps don’t work on it (including Spotify 🙁 ), and you can’t send/receive messages. Also, you still have to add the thermostat as a separate device in the Alexa app. You can disable Alexa integration, if you want. It used to be that disabling Alexa on the ecobee4 would cause the light at the top to glow red, as if in an error state, but ecobee has since patched this out and now you can disable Alexa without invoking the steady red light of doom. You might have seen the words “Works with Alexa” on ecobee3 (and many other smart thermostats). 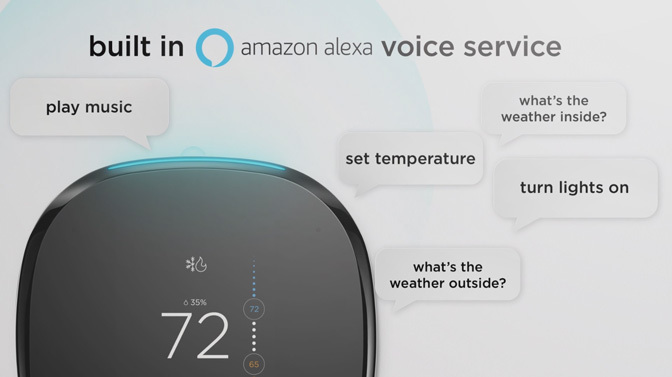 This means that you can speak to a different Alexa-enabled device on your home network, such as an Echo, Dot, or the Alexa app to issue commands to the thermostat, but you cannot speak directly to the thermostat. The ecobee4 can also be controlled this way. For example, commands you speak to an Echo or Dot in your basement or bedroom can be received over WiFi by your ecobee4. The ecobee4’s interface is the same as the ecobee3’s, with the addition of a new icon added for Alexa/Echo controls. Read more on how to stop Alexa from listening on ecobee’s website. The old design was basically a square with rounded corners, and the new model is sort of between a square and a circle. 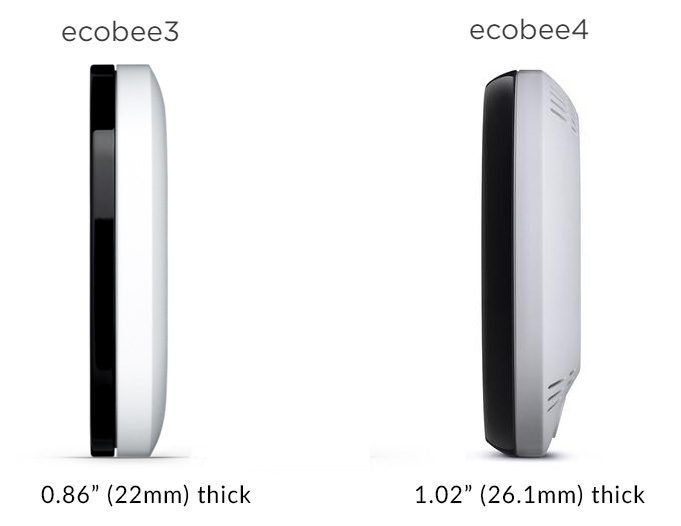 The ecobee4’s face is flat, the older one was slightly round. Flat face feels better to use – less glare on the screen, and easier to touch the icons. The ecobee4 is noticeably heavier than the 3. There’s good news, bad news, and some important things to be aware of. Your old sensors are compatible. Set up your ecobee4, then (on each sensor) pop the battery out and put it back in. The ecobee4 will automatically pick up the sensor. 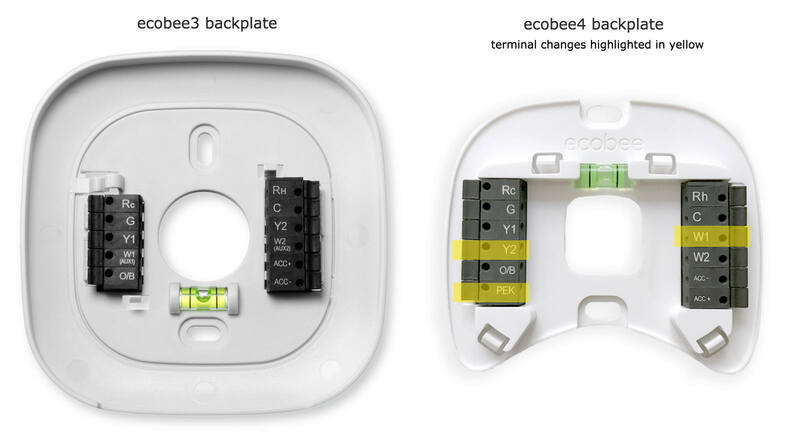 You won’t be able to use your ecobee3 backplate with the ecobee4. But hey, there’s some good news: the little built-in bubble level is still there! The Power Extender Kit (PEK) got a redesign. The terminals and buttons are bigger, and the thing has a magnet in it so you can stick it inside your HVAC unit. Good news: If you already went through the trouble of installing a PEK you can keep yours in place. No need to replace the PEK you installed earlier for an ecobee3. The decorative (and optional) back trim panel got a redesign. It’s rounder and the wire hole is smaller, so less air might rush in from inside your wall and affect the thermostat’s temperature reading. Should you get an Echo Dot and ecobee3 instead? For these reasons, some buyers are saying they’d have preferred the older ecobee3 plus an Echo Dot (or Echo). Whether these disabled Alexa features will annoy you is for you to decide. You can still grab our long-running favorite, the ecobee3, for the time being. However, the ecobee3 is slowly disappearing from ecobee.com, so grab yours while you still can. Our household is already full of Echoes and Dots, so we’re excited to see Alexa starting to get built into things. Yay! 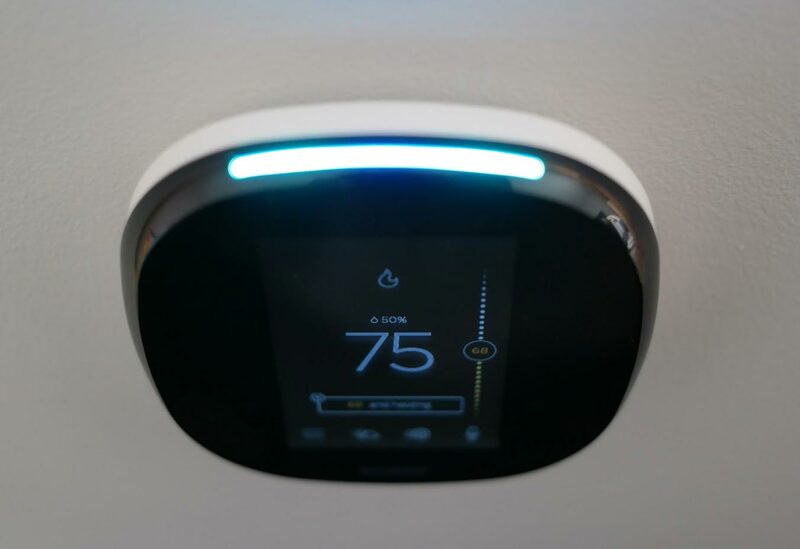 Talking to household electronics is one of my favorite things, and the new ecobee4 just excites me to no end. My thermostat happens to be near my kitchen, so I could see myself getting a lot of use out of using Alexa to set timers or update grocery lists. 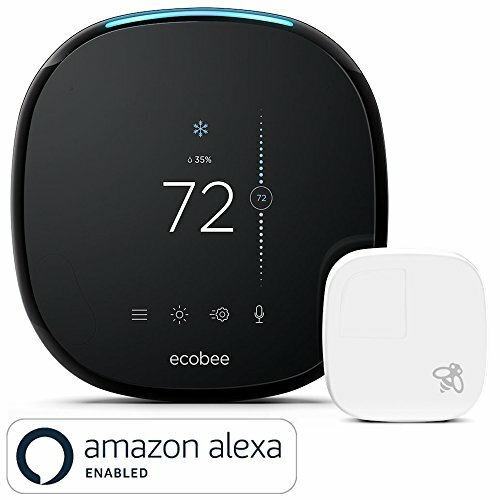 Alexa integration is literally the only thing differentiating the ecobee4 from the ecobee3, though, so if you aren’t excited about Alexa integration, note that the ecobee3 is the exact same thing, and the ecobee3 lite is the same thing as the 3 minus support for some HVAC accessories and the room temperature sensors.